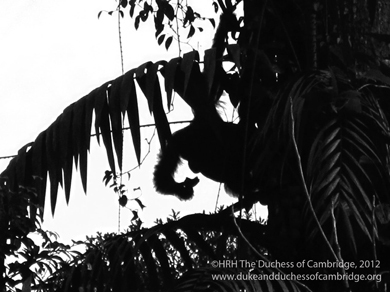 Seven photographs captured by the Duchess of Cambridge on a recent trip to Borneo u2013 including one taken from a plane u2013 have been revealed in an online gallery. Among the images is a picture of Mount Kinabalu, Borneo’s highest point, captured by the duchess on a flight to the Solomon Islands (see above). Another shows an orangutan the couple had spotted during a trip to a rainforest (pictured below). 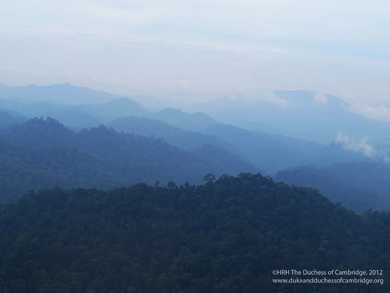 The duchess, who has had an interest in photography for several years, took the photos during a visit to the research station at Danum Valley, during her Diamond Jubilee tour with the Duke of Cambridge to South East Asia and the South Pacific two months ago. In 2010, before she got married, Kate Middleton secretly prepared a portfolio of images ahead of an exhibition of her work. Photography careers are nothing new to the Royals. Both Lord Snowdon, and the late Lord Lichfield, carved out and maintained high-profile careers as photographers. 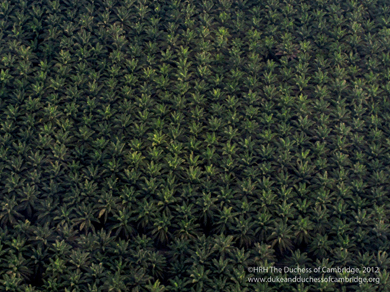 To view more of Kate’s images visit the Duchess of Cambridge website.